The neighbourhood of Pinhal, where my house is located. I am in the middle of my Portugal's home visit, and I am enjoying it tremendously, even if, this time around, nobody is with me, and most of my time, I am spending on my own. The visit to the country is special, as we are now in the middle of 'Holy Week', or Semana Santa', as it is called here, which gives me a chance to learn some Easter related customs of Portugal. It seems that tomorrow (Thursday) and a day after tomorrow (Friday), there will be some very interesting religious festivals. As Portugal is paralysed by the strikes of the truck drivers carrying fuel, there are severe shortages of fuel all of the country. Lack of availability of fuel, made me skip some of my plans of travelling within the country, and I decided to spend my time in Obidos and in villages around, so that I can make sure that I have enough diesel to be able to return to the Lisbon Airport on Sunday. Oddly, I am enjoying the change of plans. 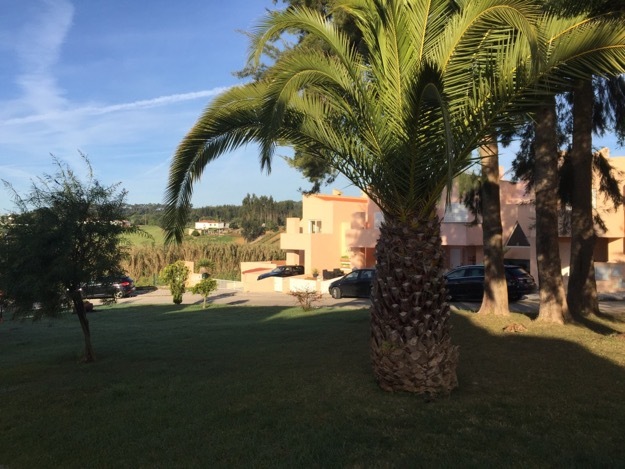 Obidos, Caldas da Rainha and villages around are extremely pretty, and it is wonderful to walk around and getting to know them more profoundly. Walking around slowly gives you a chance to talk to people. Portuguese appear to be very friendly and chatty, and I get very enthusiastic comments from people, each time, I make attempts of communicating in their language. It is only 4 more days left until my return to work to Bangkok. While, I am a bit sad to be leaving so soon, I am thrilled to know that I will be coming back soon. On top of that, when I am here next time, I will be coming with Mum and Tahir! Finally, I am preparing some pictures that I will post online soon. I hope that you will have a chance to see the images and enjoy them as much as I do. 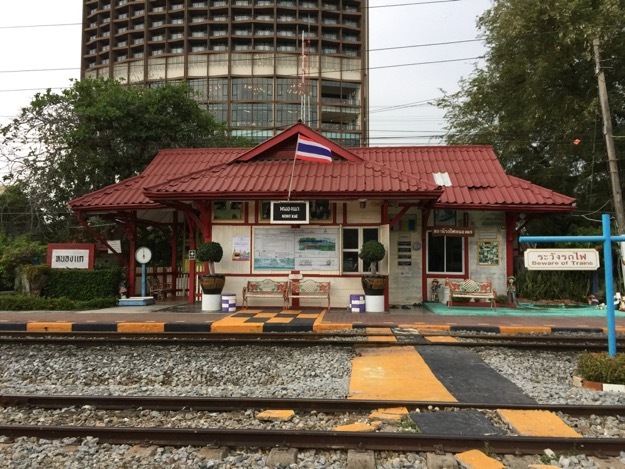 Hua Hin's local train station. It is a week of festivities coming. While Thailand is gearing up for possibly its most important holiday of the year, the Songkran (Thai/Buddhist New Year), the Christians are getting ready for Easter celebrations. One can feel the holidays coming everywhere. Most of my Thai colleagues have either already taken their days off, or are about to do that in coming days, so that they can travel to visit their families or friends. Also the foreigners in the country are planning their time off. Most of the people planning a seaside trip, or a short break outside of the country. I have decided for a slightly different approach. 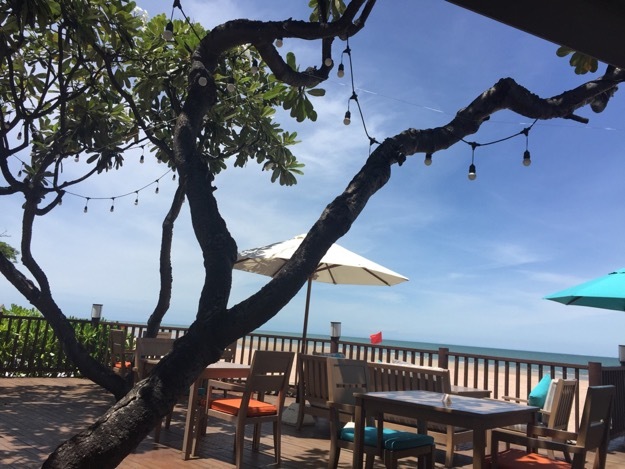 I took a Monday off, and decided to travel to Hua Hin, outside of Bangkok, last weekend. I had a wonderful and quiet three days at the coast. Walking on the beach, admiring nature, and visiting street markets. Very relaxing time indeed (you can find some pictures from the trip in this gallery)! I will still be travelling more though. This Saturday morning, I am setting off for a trip to Europe. I will first visit Brussels and spend some free time there with friends, and then off to Lisbon and Obidos! So much looking forward to that. The best part is that I actually do not have lots of plans with regard to Portugal. I will just take it easy and take things as they come along. All in all, the strategy is to enjoy the moment, eat good food and sleep a lot! Before making it to Europe, there is some humanitarian stress that I follow up on in Iran. Some of you may have heard that the country is hit by very serious floods. Many people have lost their lives, and the destruction is immense. We still need to comprehend the detailed extent of the disaster, but we are already trying to team up with our partners and roll out a humanitarian response in the affected areas. It seems that many of the EU countries will also support the victims in their own capacity too, which is so important in the first hours after the calamity - when the needs are greatest and the most severe. I will be updating you on how things go with the work soon. Until that happens, passing to all of you best regards. A long weekend is coming! This weekend is, unexpectedly, longer! The coming Monday is off, so together with friends, we are planning to travel to the seaside, and visit Hua Hin! This is, likely to be, one on my last trips to the Thai coast, given that I am leaving the country soon. I am really excited to be going. It is unbearably hot in the city, and I will appreciate and enjoy the cooler breeze from the ocean. And some updates from Tahir in Canada. We have the news that Tahir is likely to finally receive his first Canadian 'travel document', not a passport of Canada yet, but a document that looks like a passport and is called 'Certificate of Identity'. A booklet that essentially confirms that you have a right to live in Canada permanently and allows you to travel out of the country for holidays. Once he has this document sorted, we will be able to plan Tahir's visits to Europe, and possibly later to Panama too! Exciting times, as he starts enjoying more and more rights, after years of misery of a refugee life! As you may remember, I am preparing for my departure from Thailand. After 4 and half years in Southeast Asia with ECHO, I will be leaving the country in July and then moving to my new posting in Panama in August. 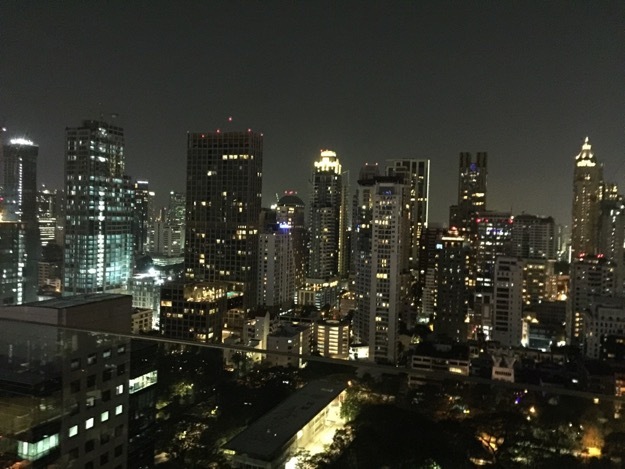 This gallery of pictures documents my journey of saying 'good bye' to Thailand, the country that has hosted me and treated me so well for last few years. Enjoy browsing through the images! 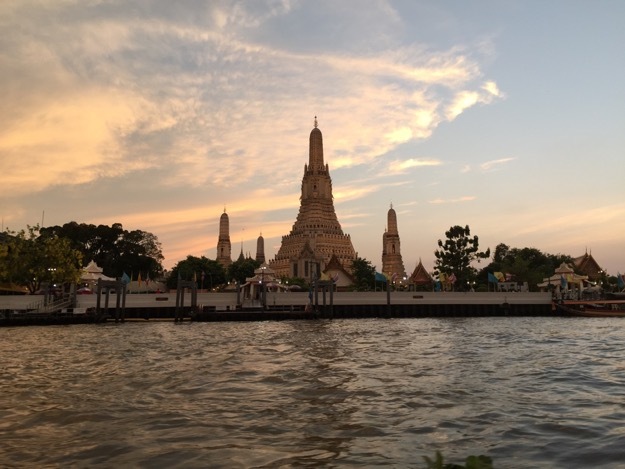 Yesterday, I had one of the nicest walks in Bangkok. 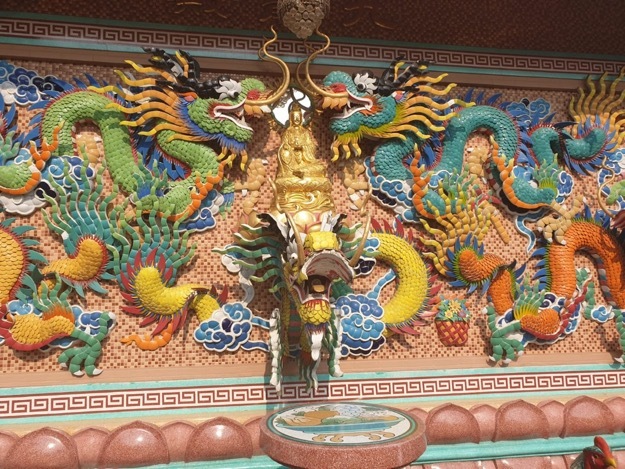 Together with a dear friend of mine, Clare, we decided to explore Bangkok's China Town. The weather was beautiful and the afternoon was not too hot. We ended up having the most wonderful time: admiring some of the funkiest streets of the city and having really good conversations; conversations that only good friends have. So we talked about things that made us happy, that made us anxious or uncomfortable. We talked about our work, about politics, about inequalities in the world… We also talked about love, friendship, family, about future and about dreams. What a wonderful afternoon! Next week, Thailand is heading to parliamentary elections. While lots of Thai friends keep their cools and do not show lots of emotions over politics, I am extremely curious to see how things will play out for the country. In the meanwhile, for us, elections mean some practical restrictions. Although we are not expecting any disturabances, we are advised to keep our eyes and ears open and avoid crowds and trouble from potential political rallies. Interesting times in the country! Talking of politics, we are all following the latest news from the United Kingdom, where the fate of Brexit is being decided in a 'soap opera'-like drama. If the issues were not so serious, probably I would have considered the UK politicians to be amusing… I hope all this will stop soon, and some decisions will be taken so that we can all carry on with lives. I have already booked my tickets to travel to Portugal in April. Now making plans over my anticipated visit to Obidos and Lisbon. I am hoping that it will be a relatively quiet time, with lots of time for myself and for exploring the country! The great news from Canada is that Tahir managed to get his driving tests passed. Now he is a proud owner of the provisional driving license and soon, he will be able to receive a full permit. I guess it will not surprise you if I write that Tahir is all over the moon from joy of his success. I am still trying to come to terms with the news from Ethiopia. You may have heard from the news that the Ethiopian Airlines flight from Addis Ababa to Nairobi crashed and killed all people onboard. It is a tragedy for all the passengers: their families, loved ones and friends of those onboard. The unfortunate flight that went down yesterday, killed over 30 people working for humanitarian and development agencies (United Nations, Red Cross and NGOs). Throughout my career, I have worked and partnered with most, if not all of the affected agencies, and I feel extremely sorry and saddened by what has happened to my colleagues. I also feel distressed, as I used to take the ET302 flight between Ethiopia and Kenya myself frequently, when I was based in East Africa some years back. Realising how fragile our lives can be has sent cold shivering through my body. 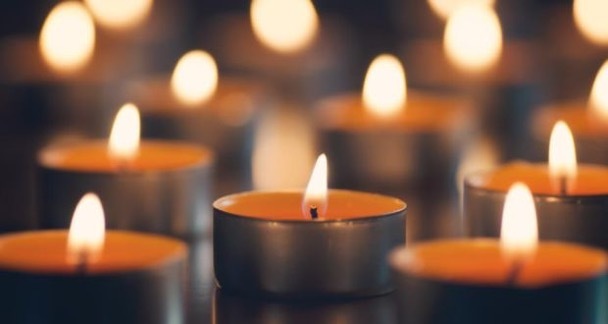 May you all rest in peace and may your family and friends take comfort from the amazing work and service that you have provided to all of us, so that our world is a little bit better place to live. Thank you for your lives for your passion! The trip to DPRK, or North Korea, as it is commonly referred to resulted with with a long break from posting here. The trip to Poungyang and other parts of the country was hectic, and left me with no opportunities to write. Then a fact that the access to the Internet in the country is severely restricted, did not help either. Today, I just wanted to let you know that I am safely back to Thailand, and still processing my experiences from the country. I promise that sooner rather than later, I will write more about the trip. For now, those, who are interested, may look at the pictures from the country that I posted online the other day. 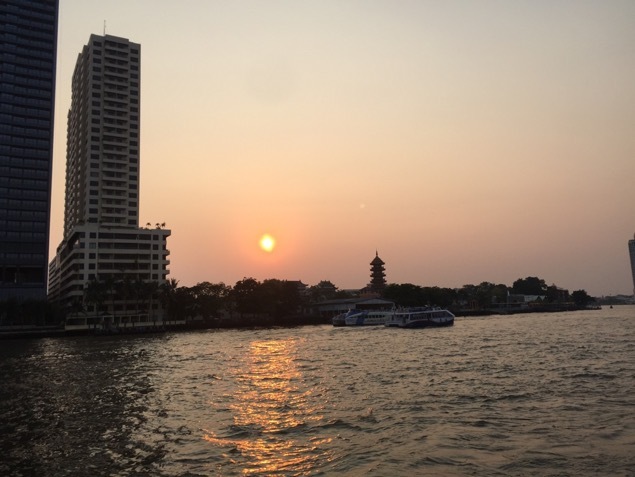 After returning to Bangkok, I have tried deal with lots of practical professional and personal issues that have piled up, when I was away. So I am trying to prepare for my next professional trip, which will be to Indonesia (in 2 weeks) and then make arrangements for my holidays in Portugal (early April). Then also already preparing for my professional trip to Brussels and Austria that will take place in May. Finally, I have undertaken some first practical steps with regards to my moving to Panama City (identify website with real estate agents, got tips on which sites to refer to find out about practicalities relating to living in Panama), etc. Then on a private note, I have started investigating more vigorously about studying opportunities that Tahir may be able to undertake in Canada. All keeps me very busy - but also content and happy. So do stay tuned, as I will be reporting on newest developments soon!